By 2017, most people will live in urban areas, bringing congestion and pollution to cities without adequate transportation infrastructure. Take NYC: despite world-class transit options, overcrowded subways and population growth in Brooklyn and Queens strain the system. New subway lines and bridges are expensive, time consuming and disruptive to build. The solution: new technology. 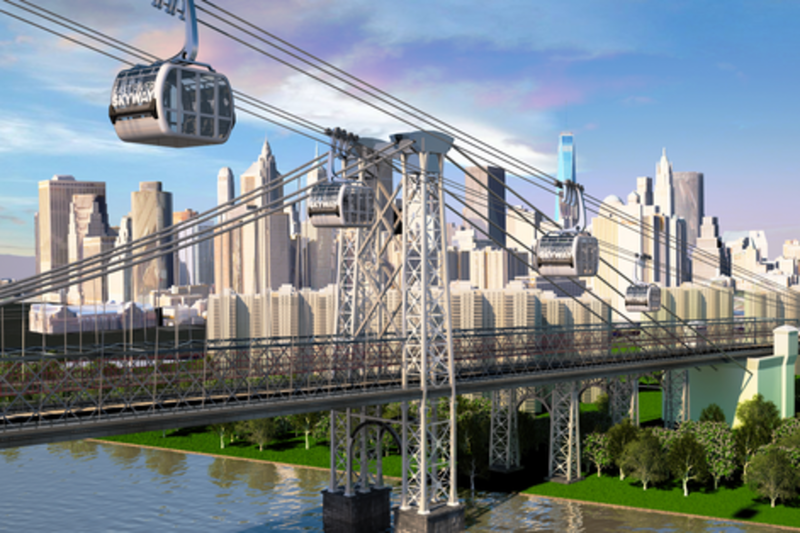 The East River Skyway is a resilient, green aerial cable car network that will travel safely and quickly over rivers and streets. Using it and similar projects as examples, this session will show how global cities can use technology to ensure that increased urbanization doesn’t lead to a lower quality of life. Dan is the founder of CityRealty.com, one of the largest and most popular websites for New York City real estate. Established in 1994, CityRealty provides a free, end-to-end service for home buyers, renters and sellers, matching each customer to an agent with the precise expertise needed to find his or her perfect home, and offering the most comprehensive data, analysis, and ratings available on the NYC real estate market. CityRealty provides a targeted advertising environment for rental building owners and condo developers seeking to reach qualified renters and buyers. Dan is also the president of REOL Services, which provides specialized website and mobile development services for commercial real estate owners and developers. Dan's latest project is the East River Skyway, a much-needed additional transportation link between Brooklyn and Manhattan that also connects high growth areas along the Brooklyn and Queens waterfront.